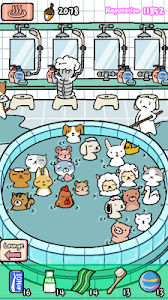 "Animal Hot Springs" is an idle casual management game. 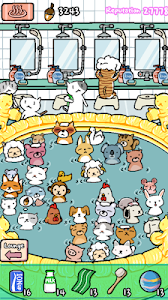 Run your hot springs successfully to make it the most popular place ever. You can earn acorns from animals visited. 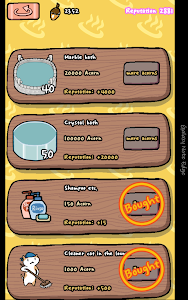 Buy various bath items and upgrade the facilities with your acorns. - a relaxing Game ever! 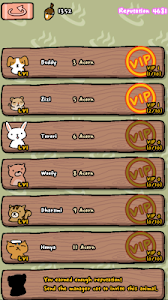 - You can earn acorns from animal visitors. - Purchase a variety of bath goods in advance with your acorns and provide them properly. 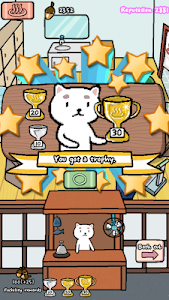 - Satisfy your animals by providing bath goods properly and get the VIP stamps. - Various facilities in lounge will help you increase your reputation and earn more acorns. - Higher reputation enables you to invite more diverse animals. 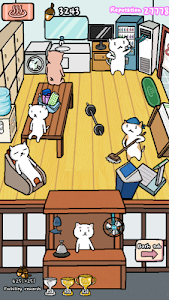 - Collect all the hidden animals to reach the highest level. - The animals in the sauna give you golden acorns. 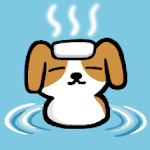 - Now the sauna is open!! Invite new animals to the sauna. - Turn on the brazier and animals will come to enjoy. - Bake food on the brazier and animals love it! 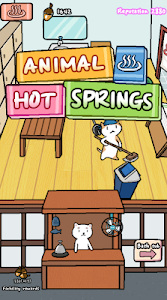 - And now you can change the background of the hot springs. This game saves data to your device. If you delete the game, your game progress will be lost. 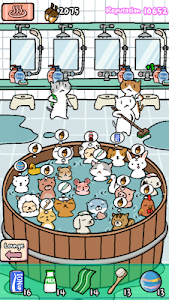 Similar to "Animal Hot Springs - Relaxing with cute animals"